Are you thankful for a fellow blogger? Tell us about him or her. This is an easy one for me! I'm EXTREMELY THANKFUL for "Readaholics Anonymous"!! She is a great mentor, coach and now friend who believed in me and my abilities! She is that cheerleader that raves about you and tells you "you can do it" and she's also that gentle push off the ledge you sometimes need to make that leap of faith! She shares what she knows and is always willing to help and support others! Readaholics Anonymous is a fun blog that provides honest reviews and share information about the literary world! 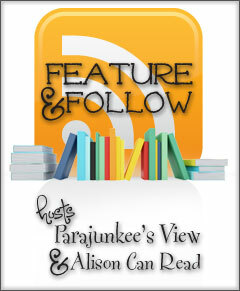 The blog reflects her passion for reading as well as the the love and admiration she has for the authors! She loves to have fun and shares that with her followers with great giveaways and a variety of feature posts. Aww! Love you lots, Viviana! Dana's such a wonderful friend and support isn't she Viviana! She's at the top of my thankful for list! Lots of hugs!! :) Thanks! These posts are awesome today. I am discovering so many new blogs to stalk..lolz..I think its nice that we know we are appreciated. I am a new GFC follower to your blog. Hope you have a wonderful weekend! Thanks for following!! I loved the question too!! "Click Here" to check out my #FF post! Following via GFC and here's my FF post!